My front yard has dozens of snowdrops now. 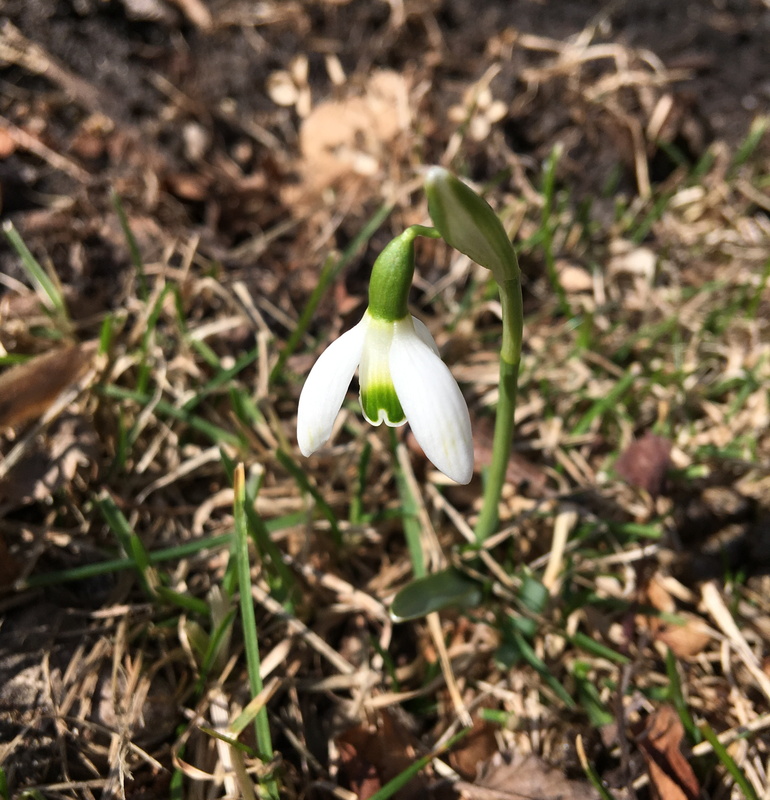 I would like to have hundreds, if not thousands, but snowdrops are kind of pricey as bulbs go ($5 each from White Flower Farm, for example). They are supposed to multiply fairly rapidly — you plant them in clumps, and then they throw off offsets from the mother plant. I figure if I add another clump of ten every year for the next ten years, eventually, there will be lots. They look so bright and cheery against the soil and the early grass; they just glow.